By ISS Education on May 22, 2018 in Our blog! In May, we get gardening with our Green Fingers week! It’s our opportunity to teach pupils about the seed to plate journey and promote the health benefits of getting your 5 a day. We offer exciting tasters throughout the week containing different fruit and vegetables, as well as a full themed lunch on the Thursday. On that day pupils have the opportunity to find a golden ticket, which wins them a seed packet and the chance to have a gardening day at their school with TV gardener, Chris Collins! This year we were invited to Hitherfield Primary, to experience Green Fingers with the school. On the 17th we made our way to sunny Lambeth to take a tour with our Food Ambassador, Hassane Taleb. We saw the school’s wonderful allotment, where pupils grow everything from apples and strawberries to garlic and olives. 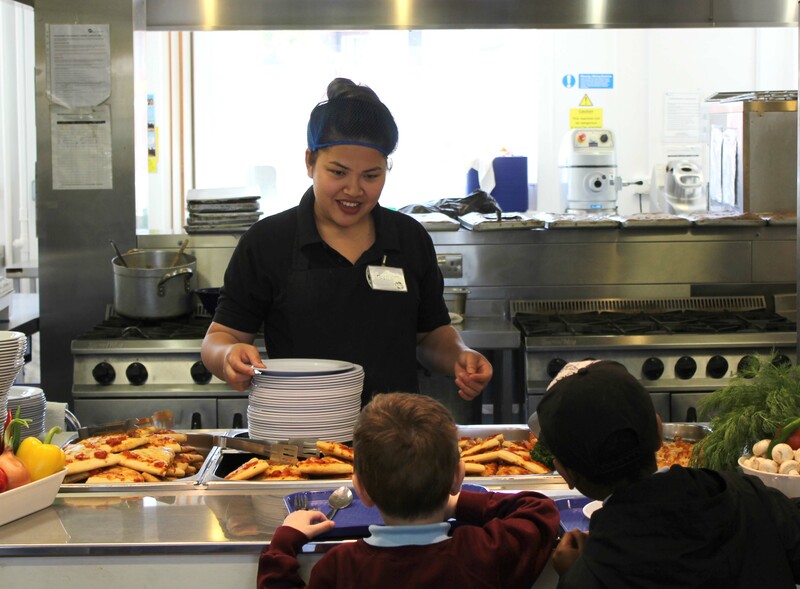 The pupils harvest produce for the kitchen team to use in our recipes – you don’t get much fresher than that! 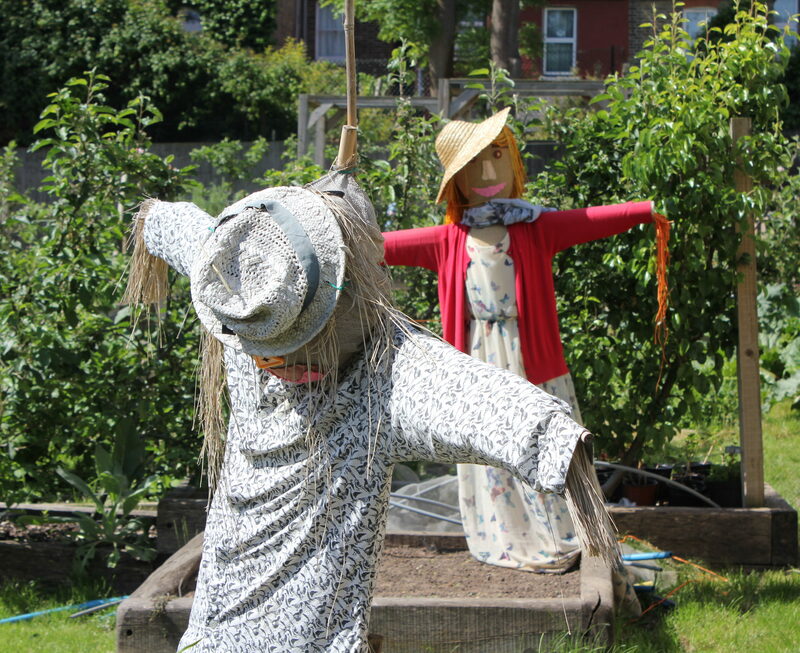 Hitherfield were one of our previous Green Fingers Gardening Day winners, and it’s clear they have plenty of keen gardeners at their school. 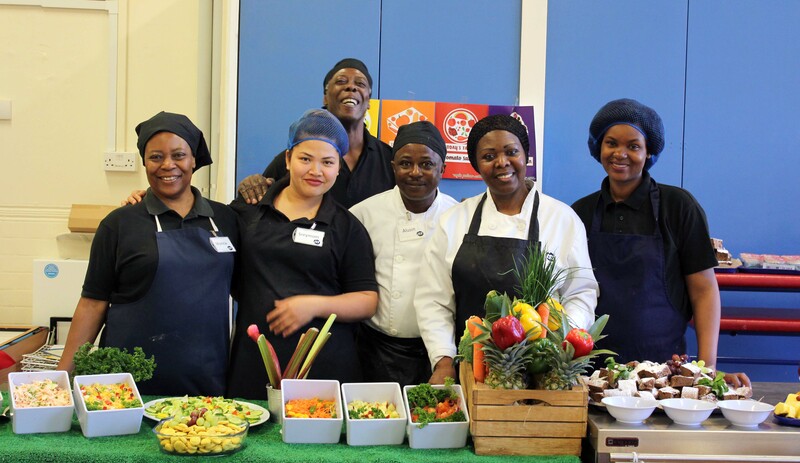 Our friendly kitchen team at Hitherfield then showed us all the inspiring displays they put together for the dining hall and counters. We saw some really eye-catching arrangements of fruit as well as tasty salad bar items, ideally placed to capture the imagination and get the pupils interested in their fruit and veg. During service we were ideally positioned to see some of the pupils find a golden ticket and win a seed packet! We’ll be sure to check back in a few months to see what they’ve grown.